I probably don’t need to tell you how sensational these Irish coffee brownie cupcakes are, or how you need to make these cupcakes for St. Patrick’s Day, or how these are a coffee-lover’s dream. Just make them and see for yourself. 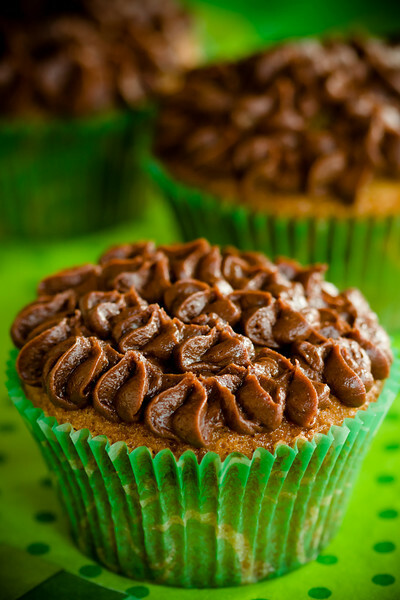 Irish coffee brownie cupcakes are coffee-flavored cupcakes spiked with whiskey and topped with chocolate whiskey cream cheese frosting. Mix in eggs and vanilla until thoroughly combined. 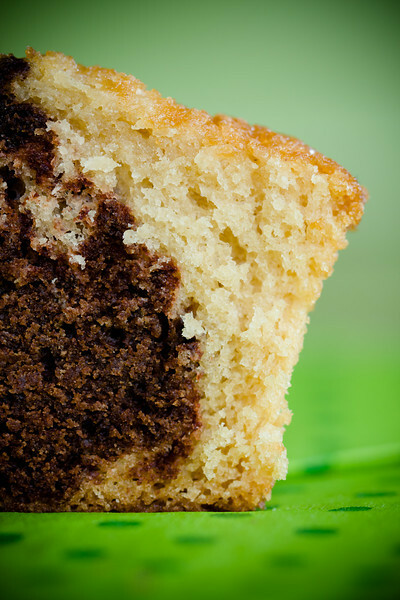 Mix in cocoa powder, flour, and salt until just combined. In a small saucepan on medium-high, heat milk and coffee beans until just boiling. Remove from heat, cover, and steep for fifteen minutes. Using a sieve, remove the beans from the milk and set the milk aside. You will only need ¾ cup of the milk, so it’s fine if some sticks to the beans during this process. In a medium-sized bowl, mix flour, salt, baking soda, and baking powder. In a separate medium-sized bowl, beat butter and sugar until light and fluffy. Add eggs to the butter/sugar mixture, mixing until fully incorporated. In a small bowl, mix together whiskey and ¾ cup of the coffee-infused milk. Alternately mix wet ingredients and dry ingredients into the butter/sugar bowl, mixing until just combined. Fill cupcake liners ¾ full with cupcake batter. Spoon 1 heaping tablespoon of brownie batter into the center of each cupcake. Bake for 25 minutes or until cupcakes bounce back when lightly touched. In a medium-sized mixing bowl, mix cream cheese and butter until light and fluffy. Mix in cocoa powder and whiskey. Spread or pipe onto cooled cupcakes. Use Wilton tip 106 for the piping style shown in the photos. I have to make these. They sound wonderful! I don’t have coffee beans, any alternate suggestions? Would powdered Espresso work? I can not find any coffee beans. Can I substitute coffee grounds or something else for it. Yes, instead of using the coffee infused milk. You can use a little bit of espresso powder to give the coffee flavor. Can’t go wrong with Irish coffee or brownies. Great job! f/2.8 – Yes, you could use espresso powder or instant coffee. It wouldn’t be as strong, but it would work. You are a genius Stefani! I want to give these cupcakes a hug. They look amazing! These are great! Tried it with the mint chocolate whipped lightning – alcohol infused whipped cream. Just put a thin layer of the frosting and then a squirt of the alcoholic whipped cream…little extra boozy but very tasty! Kidding aside, is it good to order Irish coffee and an Irish coffee cup cake? What do you think? Im not a bigfan of cupcake but Extra whiskey for me please… This is genius! I would like to leave the Whiskey out as I am making these for an office party and don’t want to offend anyone ! Should I add more milk ? Thanks – super excited to try these!! I’d replace it with water and maybe add a touch more sugar.